Sam Murray and James Hopgood finished with 10 wins apiece in the Chairmans Salver at Southport. Before the final round, James declared himself unavailable in the event of a playoff being required, having a train he needed to catch to get home to Edinburgh. As it happened a playoff was required but with James withdrawing, the trophy was awarded to Sam. 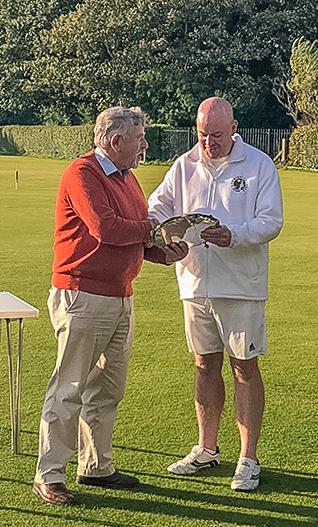 Chairman of Council Brain Shorney, travelled to Southport to present the Salver to Sam Murray.